Choptank Transport is proud to announce it has been selected by two prestigious award organizations for recognition relating to its company culture, training, employee engagement, development, and growth opportunities. The 7th Annual Best and Brightest Companies to Work For in the Nation® announced Choptank as one of their 101 highest scoring winners, making them part of their elite winner’s circle. The program selected a total of 437 winning organizations across the country, with 2,000 nominations submitted. The process is audited, designed, and scored by a third-party research firm, Inquisium. 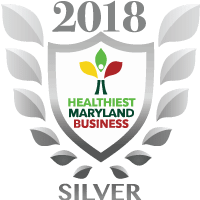 LEAD2018 announced Choptank as the winner of their Training and Development Success Plan in the category of Best Customer Service Leadership Training Program. The Lead Awards 36th annual event will be held February 7-8, 2018 in Salt Lake City, Utah, at which time, each company’s ranking will be revealed. LEAD Award is a division of HR.com. This award comes on the heels of a major investment in an extraordinary and specialized training and development program at Choptank. The company has provided employee training for years, but recently, it has it taken the process to a whole new level. A new department was created, solely devoted to the success and growth of the company’s employees, from accounting to sales to administration to operations. Everyone is included in continual learning.